The latest JPMorgan survey of institutional clients continues to show elevated inflation expectations. 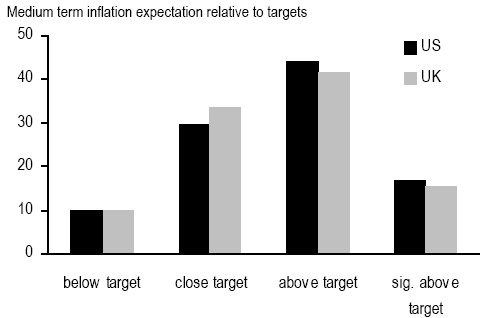 The majority of those responding believe inflation in the US and the UK will run above targets. 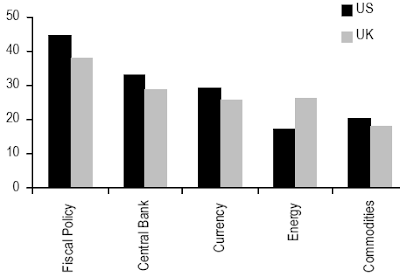 Curiously, more than the central bank policies, it is the fiscal policy that is viewed as the largest contributor to inflation risk. Apparently institutions view government spending driving inflation more than low rates and quantitative easing by central banks.